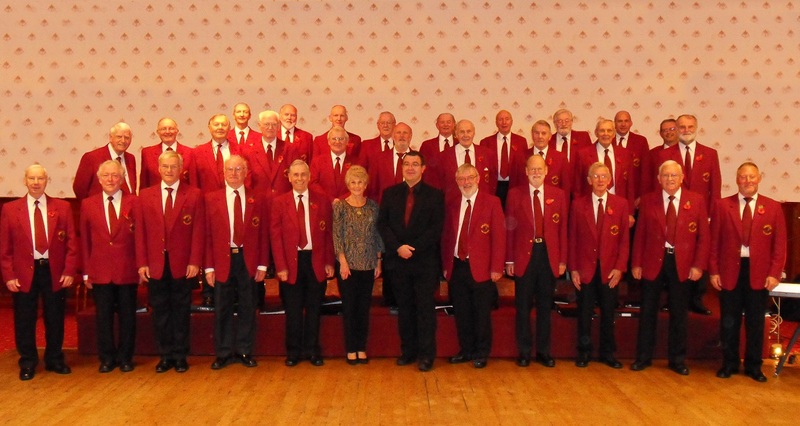 We are a progressive choir, and promote the performance and enjoyment of male voice harmony singing. We are based in Dalston, near Carlisle in North Cumbria. We are very sad to report that Hilary Hodgson, our founding director, has passed away after a short illness. Hilary was our conductor and musical director for over 25 years, and most recently served as honorary president. To read more about Hilary's contribution to the choir, please follow this link to an article from the Cumberland News in 2007. The choir recorded its second CD entitled “Ain’t Misbehavin’ in July 2006. You can hear samples of the choir singing Sanctus, Ride the Chariot and Softly as I leave you by clicking on the song title. Alternatively, if these samples don't play directly, you can click here to open an mp3 player. The choir recorded its second CD entitled “Ain’t Misbehavin’ in July 2006. You can hear samples of the choir below. We are always looking for new members so if you are thinking of joining a choir then please contact us. You can be assured of a very warm welcome and more fun than you ever thought could be had whilst still achieving a very high standard of performance! We are constantly revising and updating this site so please visit us again soon!